Importance of digital marketing in the automobile sector? Almost 70% of automobile sales in India will be digitally influenced by 2020. As digital technologies enlarge, and largely with the rise of mobile use, represents an opportunity for the automobile industry sector to reach much wider audiences than ever before. Automobile sector contributed almost 8% of the overall spending on digital marketing. Especially with the products of the automobile industry where huge investment is involved potential clients start curiously much before they actually visit the outlet. 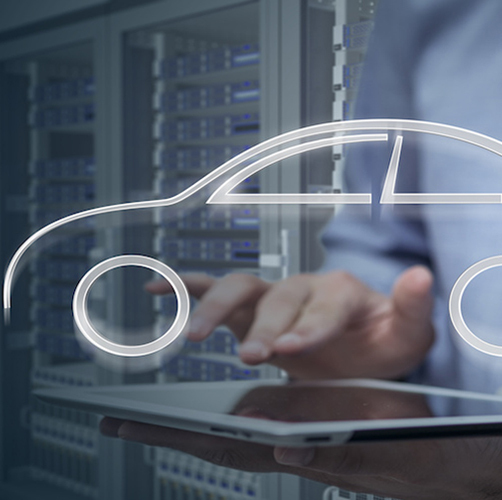 The digital environment continues to change in automobile sectors, As technologies are rising to help automobile dealerships to face these common Automotive industry challenges from analyzing data to finding the best online solutions to capture and generate potential leads. By improving knowledge of digital marketing, more automobile sectors can reach their target audiences in new ways. Provide immediate traffic to website. Dominate first page exposure on the search engines. The significance of dealership branding continues to grow in digital marketing with driven technology along with Display branding that can be run along with Search campaigns too they work with best when deployed together. the goal of your display campaign is to create brand awareness is a great way to create the huge impact on thousands of your potential customers every day. Local search engine optimization is similar to regular SEO. Automobile sectors Use a local Seo strategy that we implement to involves using a variety of methods and updated techniques According to Revolution says 87% queries go to organic search results. Has People have started using the search engine for every use they start Inquiries for buying the automobiles too People get the latest news about the vehicles only through online. The higher you get your website visitors from your local area are the most valuable, opportunities to purchase from you. According to the CMO Council, 38% say they will consult social media platforms before they purchase a new vehicle from a dealership. local social media play a major role in expanding the reach of automobile dealerships is just about posting in the group, community, and review in purchasing a new car from social media platforms and target the consumers based on their interests and demographics about the service and the product is far better and attract the customers to generate the leads. And slowly entered into the automobile industry and started studying the market to develop a deep understanding of their business sector and analysis the data completely with business objectives and reach the target audience to generate leads. As a digital marketing agency, our goal is to increase your market share with scalable that convert drive sales & conversions with maximizing your ROI.